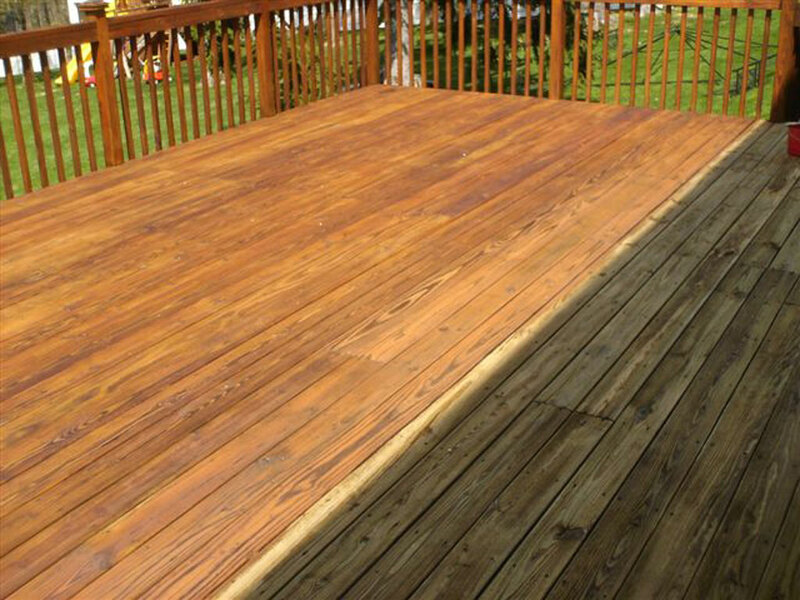 House and deck powerwashing is a great way to improve the look and value of your home. 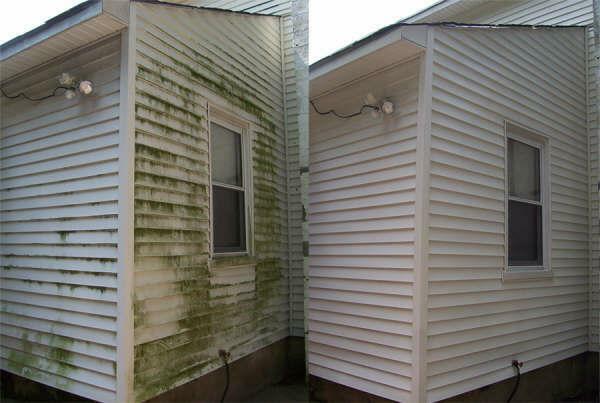 Years of mold, mildew, bird poo and dirt accumulate over time making your home look depressed and ugly. Powerwashing is a great solution and very economical. If you are selling your home nothing can make more of a difference on the outside of your home than powerwashing and window cleaning. Good news is we do both. When the crew arrives the first thing we do is knock on the door to let you know we are there. Next we will ask you to close all the windows in the house and to see if you have a hose ready to use. We will presoak the area we are about to wash, then apply an environmentally friendly cleaner to the area. We allow the cleaner to do its job and let it soak a couple minutes while we start on the next area. After the cleaner has had a chance to do its job we wash it off with the high pressure spray. Now sometimes the cleaner does not get all the dirt and stuff off so we have to hand scrub the area to ensure its completely clean. We continue to do this process until the entire house is cleaned. After we complete the job we will knock on the door and ask that you come out and look at the house. The reason is that we want you to see the difference and to see if you think there are areas that need a little more washing. The one thing I tell every homeowner is that the house will not look brand new after this service. Your home is basically like a shirt. If you left a shirt outside in the elements for years and washed it once would it come completely cleaned? Probably not and your House is the same way. So please when asking about this service we ask that you have reasonable expectations.